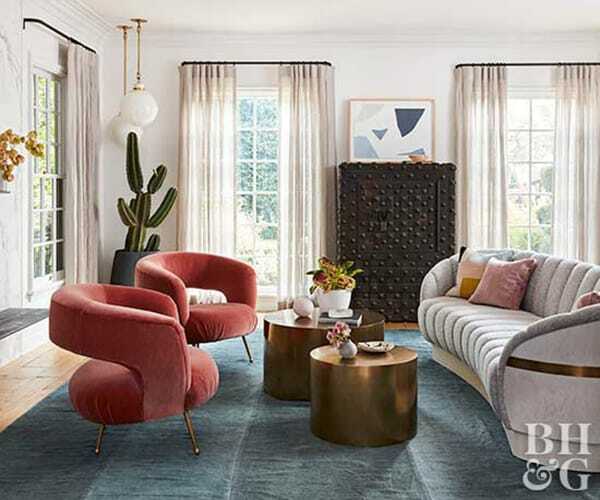 Actress Hilary Duff has taken pride in cultivating a warm, inspiring home for her and her five-year-old son, Luca to share. She collaborated with designers Shannon Wollack and Brittany Zwickl of Studio Lifestyle to bring her vision to life. The result is a home that feels welcoming and lived in while embracing the beauty of design. Throughout the home, pattern and antiques play a huge role. Hilary loves collecting things that truly speak to her, so the home is full of items with sentimental value and things that stood out to her during her travels. 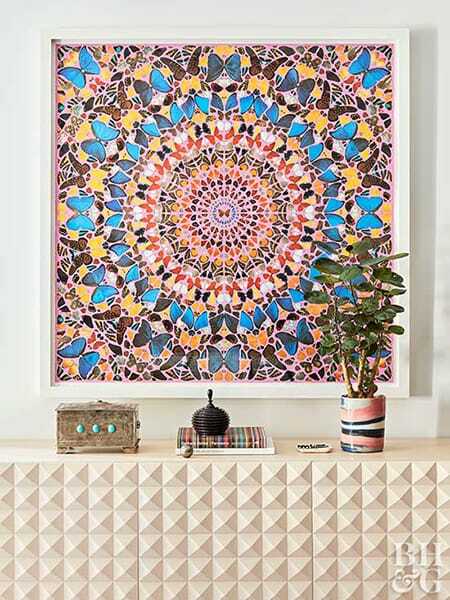 The bold patterns and pop of colors give it a fun flair, while the mixture of styles makes it eclectic and unique. Enjoy this truly inspiring home tour courtesy of Better Homes & Gardens to give you some ideas on how to curate a home that is unique to you, beautiful in design, and also very family-friendly. Two dusty-rose doors invite you in and give you a taste of the charm inside. Stunning geometric shapes are at work in the console table and artwork of this vignette. 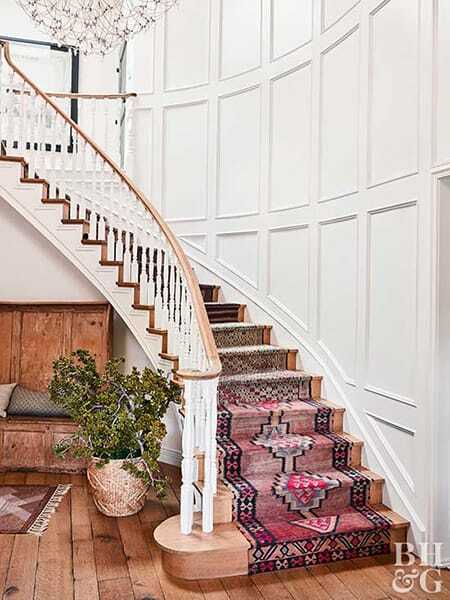 A white paneled wall draws your attention to the beautiful rug on the staircase and the gorgeous wood floors. Modern shapes bring a chic, funky flavor to the living room. 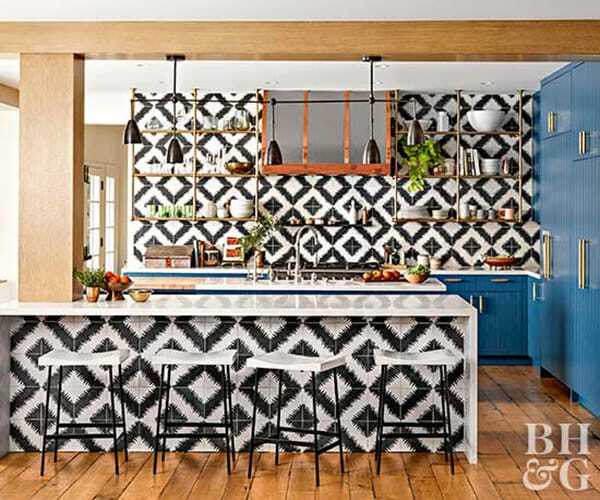 A bold, graphic pattern in the backsplash gives the kitchen a unique stamp, especially paired with the blue cabinets. The dining room is more subdued with a rustic, southwestern influence. 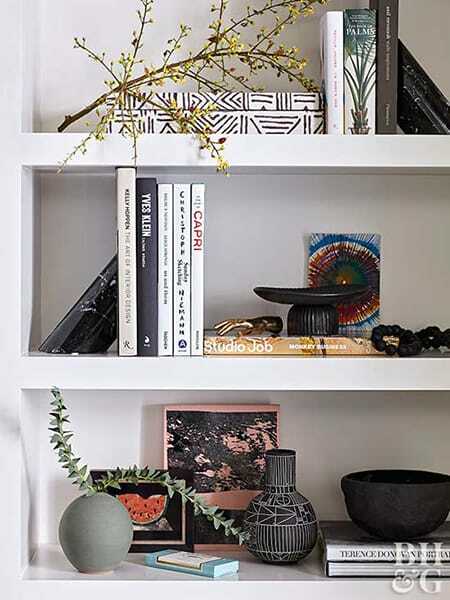 The shelves are artfully arranged for a relaxed, curated vibe. 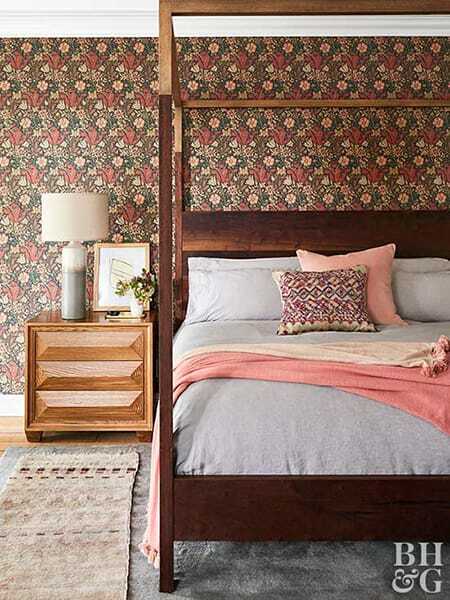 A vintage floral wallpaper gives the master bedroom a bold, feminine personality. 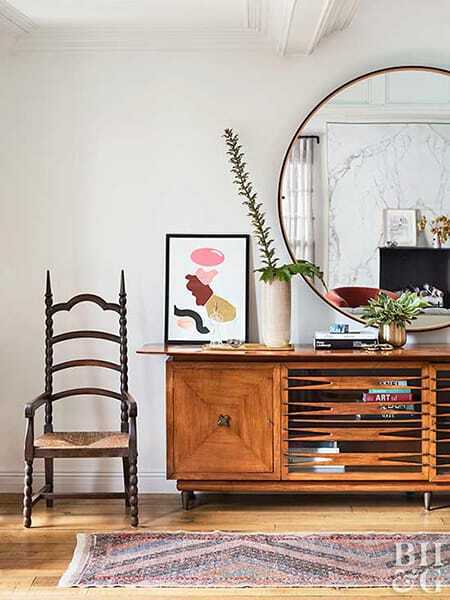 Another vignette features a mid-century modern console table and other intriguing decor. 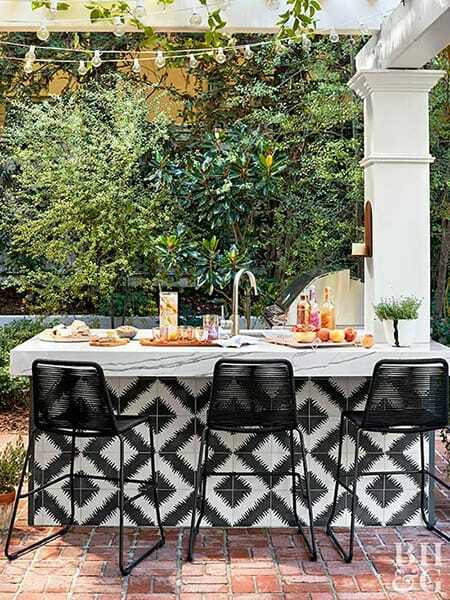 Outside, the tile from the kitchen is repeated on a bar mixed with a marble countertop that contrasts with the beautiful greenery. What a unique, inspiring place!